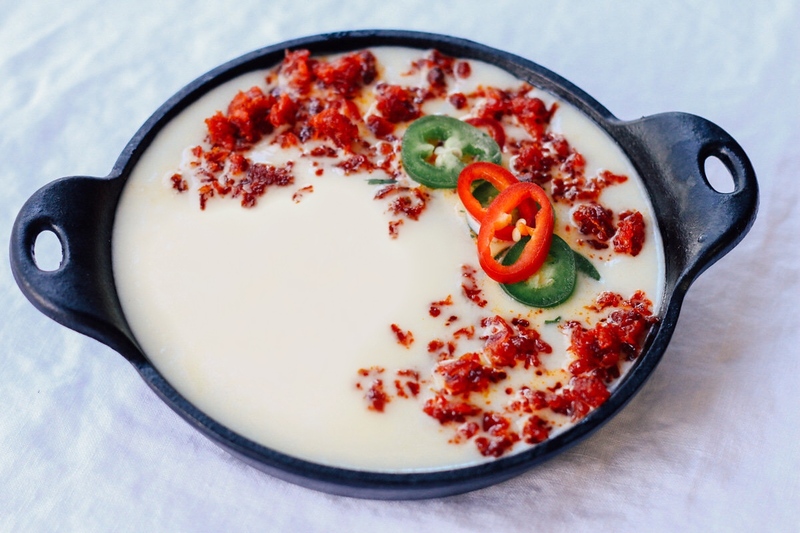 In a medium skillet, sauté chorizo over medium-high heat until crisp (drain and reserve 1 tablespoon). Cook onions in the same pan with remaining 1 tablespoon of chorizo oil and cook 4-5 minutes, add garlic and cook 20-30 seconds making sure garlic does not burn. Transfer the chorizo mixture to a plate. Simmer half-and-half over medium heat in a small saucepan. Reduce heat to low as soon as it starts to bubble. 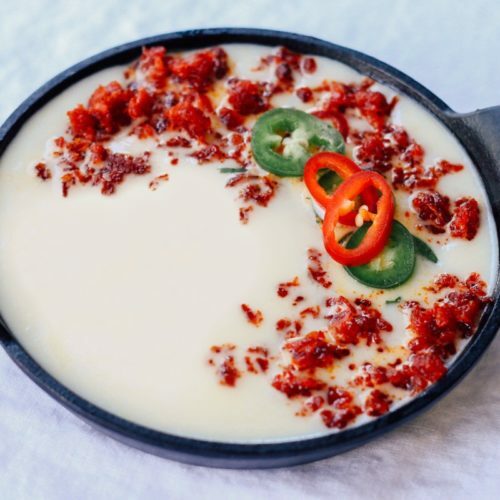 Add cumin, crushed red pepper flakes and stir; add cheeses in batches to the cream mixture, whisking until you have a creamy consistency, approximately 7-8 minutes. Season with salt and pepper to taste (if needed).